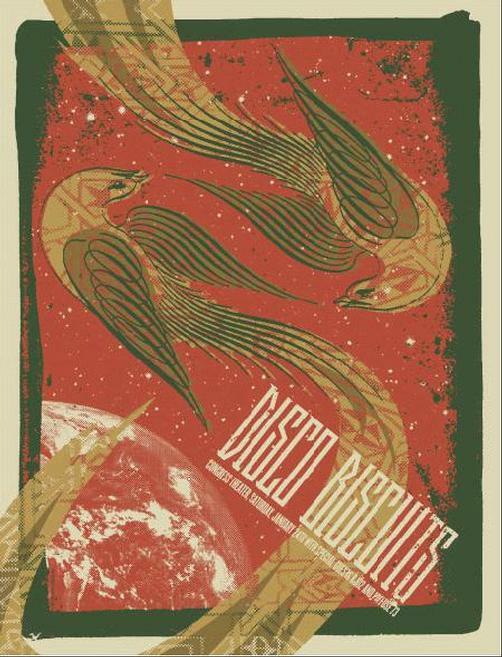 Original concert poster for Disco Biscuits at The Congress Theatre in Chicago, IL in 2009. 16 5/8 x 21 5/8 inch 4 color silkscreen print. Signed by artist Todd Slater. Rare AP edition (Artist Proof. Small corner bend bottom right corner.